We are going to be traveling a bit this holiday season which means it will be even more hectic around the Mad House than it usually is. Even though it’s a busy time of year, there are so many opportunities to slow down and enjoy some quality time with your family. You don’t have to wait for a big holiday meal to enjoy some of the season’s best treats, either! When you take a little help from the store, you can treat your family and friends to a delicious meal any day of the week! 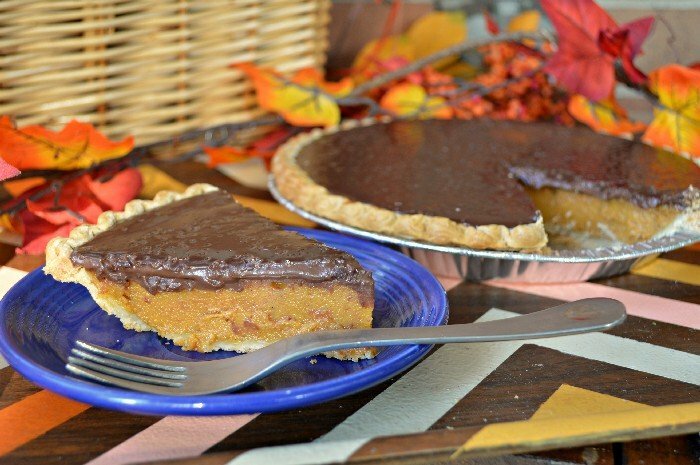 This pumpkin pie with chocolate ganache looks fancy, but it take almost no effort to make. I picked up my pie at my local Meijer. You can find your closest Meijer store here. 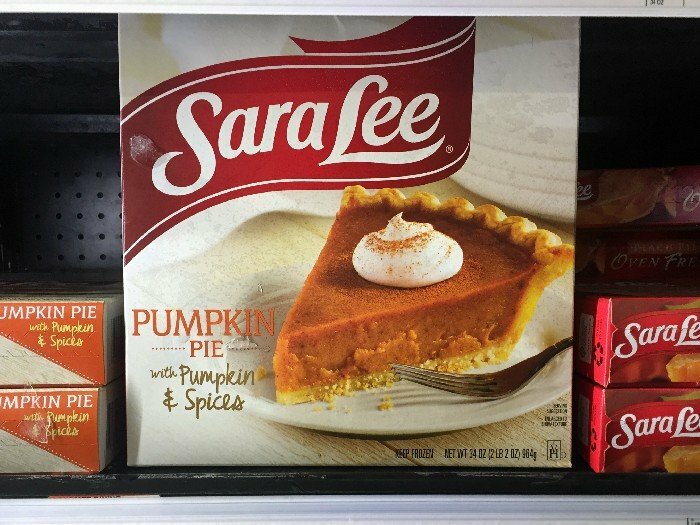 Sara Lee® pies are great because they really do taste freshly made. The pumpkin pie has that traditional, rich pumpkin taste with a blend of all the cinnamon and spices that I love in the Fall. 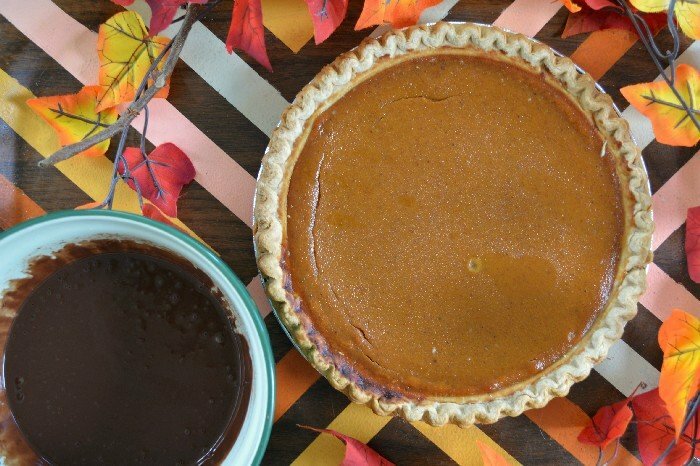 All you have to do is pop the frozen pie in the oven for an hour and fifteen minutes, and you have a delicious pumpkin pie to serve your family. 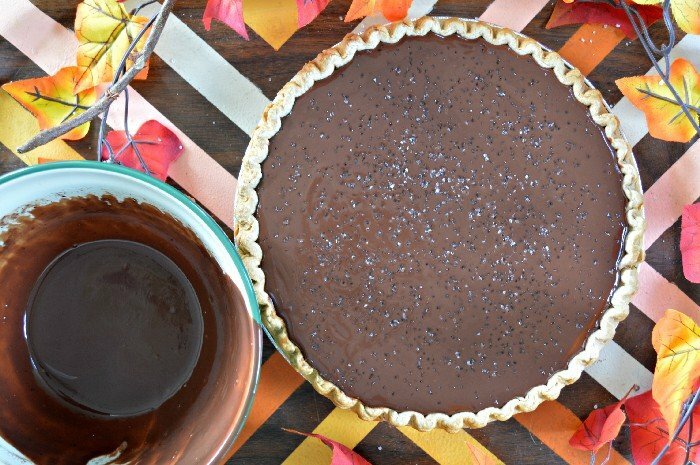 If you want to amp up the pumpkin pie a bit, you can make a homemade chocolate ganache to top it. I know ganache sounds fancy, but it’s ridiculously easy to make. 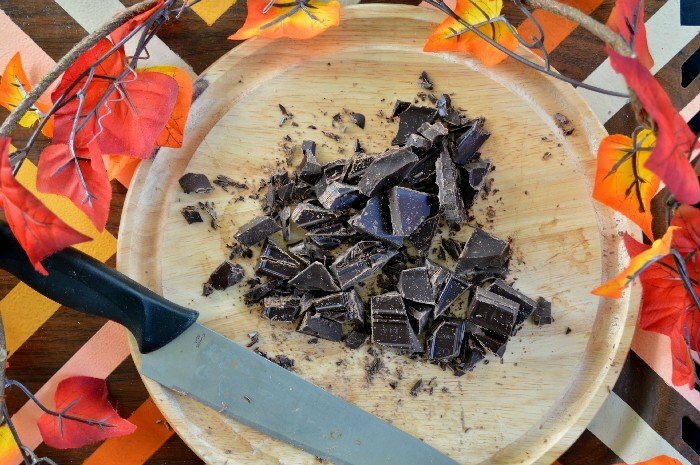 Just do a rough chop on 8 ounces of semi-sweet chocolate and pop it in a bowl. 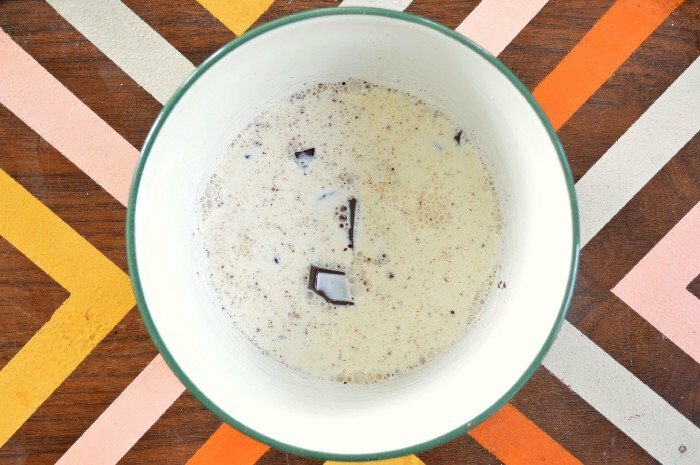 Then bring 1 cup of heavy cream to a boil, and pour the cream over the chocolate. Then check your phone or something for 10 minutes while the cream melts the chocolate. After the 10 minutes have passed, whisk the mixture together until it is well-combined and shiny. 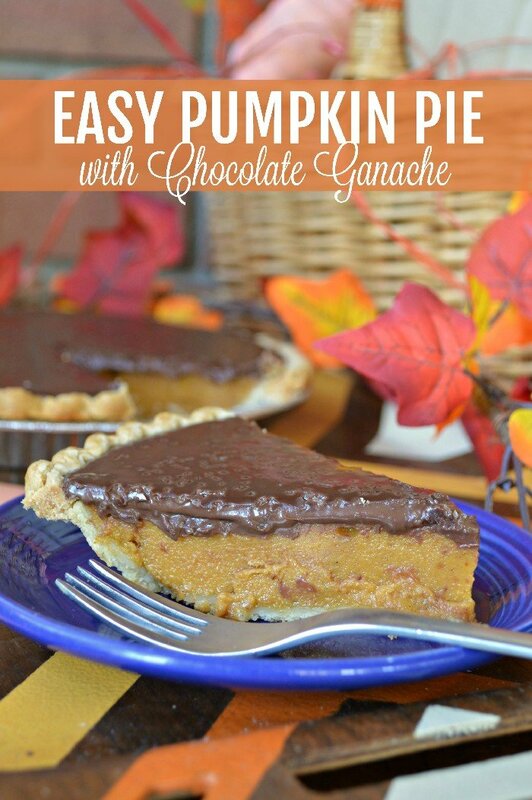 Hopefully your pie is all cooled, so you can pour the ganache over top of it. I was able to fit almost all of my ganache on the top of the pie without it spilling over. Then, I may or may not have eaten the remaining ganache with a spatula. If you want to be EXTRA fancy, sprinkle some coarse sea salt over the ganche after it has set a bit. Refrigerate the pie for at least an hour. Slice this delicious pie, and serve to your loved ones! Do you have any special things you loved to do with your family during the holiday season? Let me know in the comments!